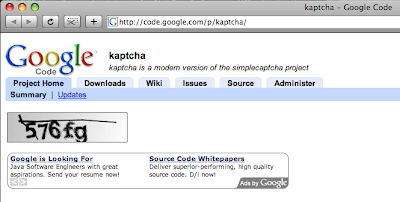 Google just recently announced that you can now embed Gadgets in your Google Code wiki pages. This is a major feature for this service! The reason is simple. Before this feature was implemented, you couldn't embed anything other than wiki markup. Adding the ability to put Gadgets on the pages enables one to resolve a long standing issue which was that you couldn't embed Google Adsense in your project pages. So, I believe I can now claim that I'm the first person to do this. Woot!